Q: How long does it take to travel from Shanghai to Guangzhou by flight? A: The Shanghai to Guangzhou flight time is about 2.5 hours. Q: How many direct flights to Shanghai are in service from Guangzhou Baiyun International Airport (CAN) every day? A: The number of direct flights to Shanghai from Guangzhou Baiyun International Airport is around 42 every day. Q: What is the distance of the Guangzhou to Shanghai flights? A: The flying distance of the Guangzhou to Shanghai flights is 1,308 km (813 mi). Q: How much does the Shanghai Pudong (PVG) to Guangzhou Baiyun (CAN) flight cost? A: The full price of the economy class ticket of PVG - CAN flights is CNY 1.450. During public holidays and festivals like the Chinese New Year, the air tickets are usually sold at full price. In high season from April to October, the air tickets normally enjoy a 20% - 40% off discount; in low season from November to next March, the air tickets normally enjoy a 30% - 60% off discount. Q: How to find cheap flights from Guangzhou (CAN) to Shanghai (PVG or SHA)? A: Usually, if you want to get a cheap flight to Guangzhou, you should better check the air ticket prices 3 months before departure, and make a reservation when attractive discounts pop up. Also, if you don’t have high demand about the services on the planes, you can book tickets from low-cost airlines, but do pay attention to the exact luggage allowance, because the charge of the excess luggage is very costly. How many flights are weekly? What is the best price for round trip? What is the date for the trip? I think there is a direct flight CZ300 to Guangzhou and need about 16 hours. You are also able to connect at city like Shanghai, Los Angeles or Moscow etc. The price also depends on your date. As i can see, the price sometimes may around USD1,000 to 1,200 for around trip. What is the faster transport I can get from Hangzhou to Shanghai? The fastest way is to take a high speed train directly, which just costs around 1hr. And there are many high-speed trains operating on the route. One flight MU540 of China Eastern Airlines is available daily from Kuala Lumpur to Zhengzhou, departing at 01:50 and reaching Zhengzhou at 10:40. Or, you could reach Guangzhou first and then to Zhengzhou. 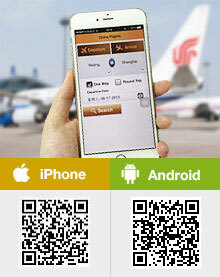 You could take the flight MU540 to Zhengzhou directly or transfer at Guangzhou. And several direct flights are operating everyday.